Speak Low If You Speak Love Release New Song "Safety Net" - GENRE IS DEAD! Speak Low If You Speak Love is close to releasing their sophomore album, Nearsighted, and have decided to give fans another sneak peak of what’s to come with the latest single titled “Safety Net”. This song is different from previous releases off the album, such as “Enough” and “Contrasting Colors”, as it introduces an electronic drum and a female guest-vocal, adding another level to the emotionally charged track. Take a listen down below! Like what you hear? The album is set to be released on January 19th, so be sure to keep an eye out for it. 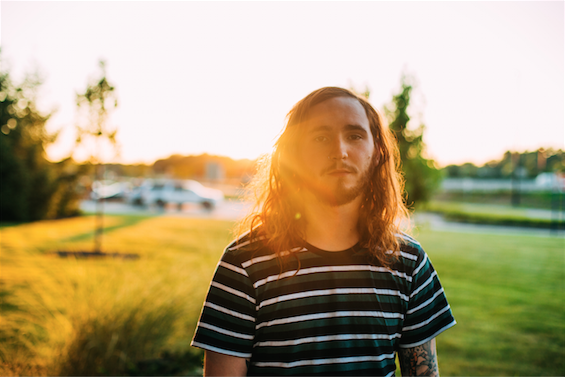 Speak Low If You Speak Love has become quite the project for the band’s creator, Ryan Scott Graham, who also happens to be bass and backing vocals for the pop punk group State Champs. However, if you’re looking for a similar sound, you won’t find it here. Graham brings indie rock an acoustic, stripped-down feel that fits with almost any mood. Personally, I enjoy listening to his tracks most when it rains, and it’s been raining a lot here. That being said, they probably sound the best live, and you’re in luck! Speak Low If You Speak Love is not only heading on tour as support for Neck Deep, but is also headlining a few small shows. All tickets can be purchased here. Check out some of their supporting dates listed below.